12 volt, 5 batteries charged by: engine, solar panels, shore power 2 x shaft alternators. 4 x 110 W Solar Panels. AGM Batteries new 2018. 1200 W Inverter. SSB Receiver. AIS transponder & receiver. A spacious and nicely fitted out centerboard cutter. The hull was originally professionally constructed using AG4MC Aluminium in 1984, when everything else was completed except for the interior fit out. In 2000 the interior was completed, the mast stepped, engines first run and she was launched by the present owners. 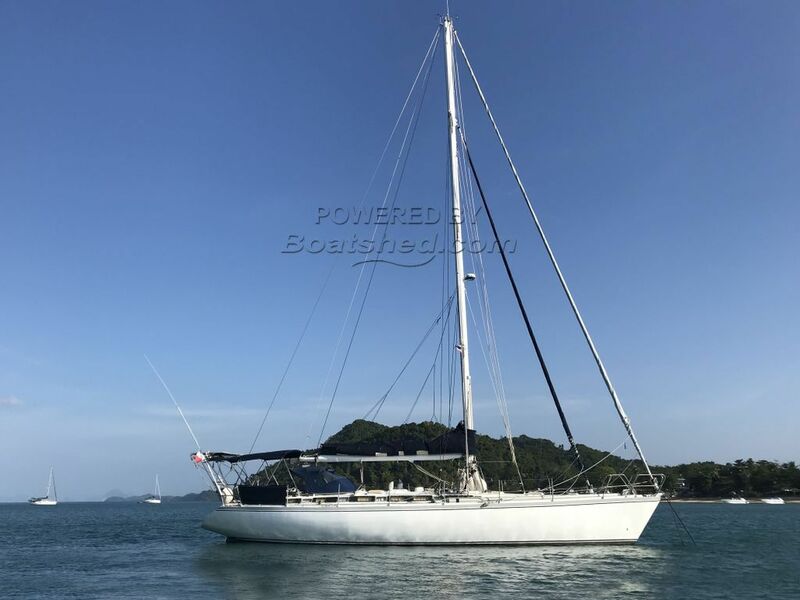 This Via 52 ( Price Negotiable ) has been personally photographed and viewed by Alan of Boatshed Phuket. Click here for contact details.